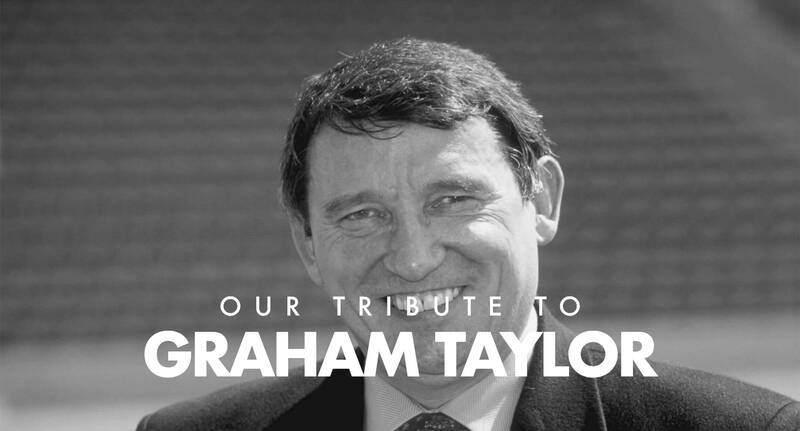 We at Sports Chaplaincy UK were very shocked and saddened to hear of the recent sudden death of Graham Taylor. Much has been written about his achievements within football and what a genuine, caring man he was. We would whole heartedly echo those sentiments and our thoughts and prayers go out to Graham’s family and all those who knew and loved him within football. We also wish to go on record to show our appreciation of his considerable support of the role of the sports chaplain. “Clearly everyone in football acknowledges Graham’s excellence as a coach and a club manager. His record speaks for itself. But I pay tribute to other aspects of his football life. He saw the worth of caring, supportive chaplaincy. “I don’t want you Bible-bashing people, but if they ask questions about God and faith, about your views, you are free to answer” was one of his early comments to me. He particularly wanted time and care – pastoral and spiritual care – offered to the staff and players. He saw the club as a family, and knew that at times, families face crises. Some of those facing troubles and difficulty could find confidential, trusted help from a chaplain. So he invited me into the inside of the club, and so helped me to build relationships with staff and players. These in time became trusting relationships, which led to real benefits among the Watford Family. Many people were helped in times of difficulty, trouble, challenge or when they needed someone to talk to confidentially. Graham cared for people. The chaplain was not a spy for the manager among staff and players. He was a help to any who may need his particular expertise and experience. Sometimes he used the chaplain himself. I recall one discussion with him about his making judgements on people as footballers, which would affect their futures for good or ill. He saw players as people, not objects to be traded. That was care and compassion. Watford became famous for a new style of football club. Players gave time each week to various sorts of community involvement. They visited hospitals, schools, and factories; opened local fetes and fairs; were actively involved with sponsorship events. It was part of their responsibility. Watford pioneered a family enclosure where whole families could watch the team. There was a crèche room, so younger children could be catered for. The ‘Junior Hornets’ were primary aged school children who were coached (however skilled they were) and taught to enjoy playing football with mum and/or dad watching. He made following Watford a family activity. Local involvement was paramount. Businesses were involved as sponsors; fans were encouraged to buy kit and track suits; fans became ‘kit sponsors’ – socks, shorts, shirts, boots or full kit – with names in the programme and invitations to a sponsors’ dinner. He once asked Anne and me to sponsor a player (‘And if you can’t afford it I’ll give you the £15,’) because one lesser player had no kit sponsors at all and Graham wouldn’t have wanted that to appear in the programme’s list of kit sponsors. That was compassion, sensitivity. He was brilliant with people. One thing I learned from him was his capacity to respond to letters. A letter to Graham Taylor invariably brought a hand written reply from the man himself. His capacity to reply to those who wrote to him was remarkable. Once, one summer evening, he was running through the park and saw me with a group of chaps from church playing 8-a-side football. He ran over, asked if he could join in, put on a bib, and for five minutes played with these guys from church. The impact was awesome: “We played football with Graham Taylor,” they said, as Graham continued his run. It showed his innate ability to relate to and to win over people. And he did things differently. He was willing to take risks, to try new ideas and continue with them if they worked, to make changes to achieve new goals. He was innovative and creative as a club manager. His support for chaplaincy wasn’t just at the level of Watford FC. When Sports Chaplaincy UK (then SCORE) became a registered charity he agreed to be one of six on the ‘Board of Reference’. As a high profile name in sport, he was prepared to endorse sports chaplaincy. SCUK owes him a significant debt. Without his openness, there would have been no chaplaincy at Watford FC. Without that, The Baptist Union of Great Britain would not have supported the development of an interdenominational body to develop UK sports chaplaincy. Without that support, SCUK would not be where it is today. SCUK owes much to Graham Taylor. Graham very kindly agreed to be interviewed recently about the work of the chaplain in sport an excerpt from which can be viewed here.